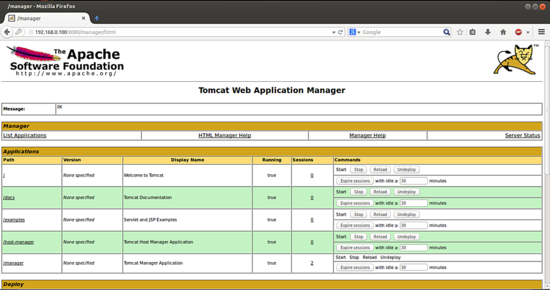 This document describes how to install Tomcat in CentOS 7.0. 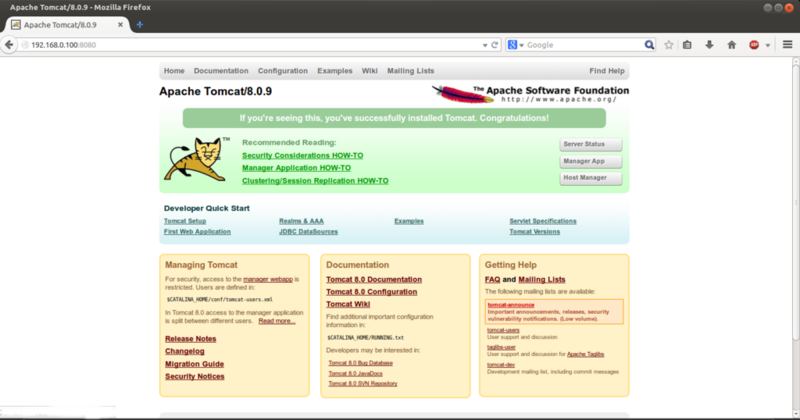 Apache Tomcat (or simply Tomcat, formerly also Jakarta Tomcat) is an open source web server and servlet container developed by the Apache Software Foundation (ASF). 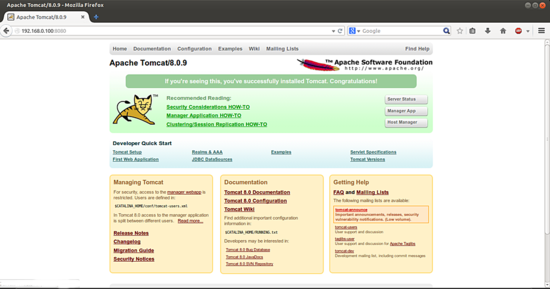 Tomcat implements the Java Servlet and the JavaServer Pages (JSP) specifications from Sun Microsystems, and provides a "pure Java" HTTP web server environment for Java code to run in. Apache Tomcat powers numerous large-scale, mission-critical web applications across a diverse range of industries and organizations. Some of these users and their stories are listed on the PoweredBy wiki page. the firewall policy made me run my local server! Connecting to www.interior-dsgn.com (www.interior-dsgn.com)|205.186.175.205|:80... connected. How To Install Tomcat On CentOS 7 as virtual machine in ova format, compatible with vmware and virtualbox.